Not all of the following info made it into SonicScoop's year-end list for NYC Studios, but we feel the projects below are significant and noteworthy. They also represent the kind of services New York can offer and handle. Looking back at 2011, there are two distinct groups of projects that stood out for us at Avatar Studios. The first group involves album projects. The first project is Tony Bennett’s Duets II album recording sessions with producer Phil Ramone and engineer Dae Bennett. In March, Tony Bennett and Sheryl Crow recorded “The Girl I Love” in Studio A (assisted by Fernando Lodeiro). In July, Tony Bennett sang and recorded “How Do You Keep the Music Playing” with Aretha Franklin in a memorable session in Studio C (assisted by Fernando Lodeiro and Tim Marchiafava). At the end of July, Tony Bennett recorded “The Lady is a Tramp” with Lady Gaga in Studio A (assisted by Fernando Lodeiro and Tim Marchiafava). All of these sessions were filmed. The details of the duets session with Lady Gaga was captured and documented by Gay Talese in his article for the New Yorker magazine. The album, released on September 20, debuted at No. 1 on the Billboard Charts (dated September 28, 2011). The album also garnered a Grammy nomination for the Best Traditional Pop Vocal Album category. One of the highlights of 2011 was hosting Paul McCartney in a session held in Studio A recording a Buddy Holly tribute, Rave On Buddy Holly, with producer David Kahne, engineer Roy Hendrickson assisted by Fernando Lodeiro. The details of the session were written up in a Mix magazine article. There were additional sessions on a separate project and the resulting album will be released next February. Ingrid Michaelson worked on her upcoming project throughout the year at Avatar. In April, she was in Studio A working on basic tracks with producer David Kahne, engineer Roy Hendrickson assisted by Fernando Lodeiro and continued working in Studio G. Ingrid was back in September in Studio A for horns with producer David Kahne, engineer Robert Smith assisted by Charlie Kramsky. The resulting album is Human Again scheduled for release on January 24, 2012. Her single, “Ghost”, has already been released. The second group of projects involves music for TV & film. One of them is more about a very talented artist, involved in multiple projects, who he is uniquely gifted. The artist’s name is Vince Giordano and his (big) band is the Nighthawks. Because of his expertise of music from a specific time period, he was key in making the music for HBO’s Boardwalk Empire authentic and alive. 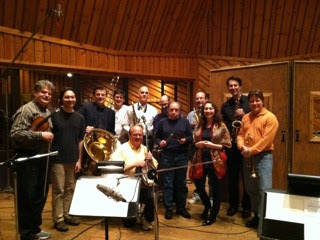 Vince Giordano and the Nighthawks recorded music for the show in February in Studio A with producer / engineer Stewart Lerman assisted by Rick Kwan. They came in again in April to record with Regina Spektor in Studio A again with producer / engineer Stewart Lerman assisted by Bob Mallory. The music has been nominated for a Grammy in the Best Compilation Soundtrack for Visual Media category. Vince Giordano and the Nighthawks also recorded music for HBO’s mini-series Mildred Pierce in Studio A with producer Randy Poster, engineer Stewart Lerman assisted by Charlie Kramsky. Vince has been written up in the NY Times and NY Daily News. The next notable project was the film score to Moonrise Kingdom, a new Wes Anderson film. 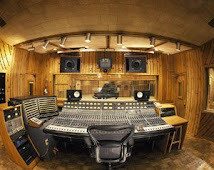 The music, composed by Alexandre Desplat, was tracked in Studio A and mixed in Studios G and B. The sessions were produced by Jeremy Dawson, Alexandre Desplat and engineered by Gary Chester assisted by Tim Marchiafava and Tyler Hartman. Moonrise Kingdom, which stars Bruce Willis, Edward Norton, Bill Murray, Tilda Swinton, and Frances McDormand, will open May 25, 2012. The last mention is a TV project that is still under wraps. It is NBC’s Smash, which will debut right after the Super Bowl. In October, music for the show was recorded with Nick Jonas in Studio C with producer Jim Black, engineer Andy Zulla assisted by Bob Mallory. Since then, additional music has been recorded in Studio B with producer Marc Shaiman, engineer Brian Garten assisted by Charlie Kramsky and orchestral recordings in Studio C with producer Marc Shaiman, engineer Todd Whitelock assisted by Charlie Kramsky and Tim Marchiafava. From the most recent session news for December, T Bone Burnett was in producing a couple of songs for the soundtrack to the hotly anticipated film The Hunger Games in Studio A with artists Punch Brothers and Secret Sisters. The session was engineered by David Sinko assisted by Bob Mallory. The Hunger Games, directed by Garry Ross and starring Jennifer Lawrence, Josh Hutcherson and Liam Hemsworth will open March 23, 2012. We consider every project we are entrusted with to be important and we pride ourselves in giving our best whether it is a 60-piece orchestral session or a simple overdub. We want to thank all our clients for making 2011 a very special year for us. Happy Holidays and we hope to serve you again in 2012.